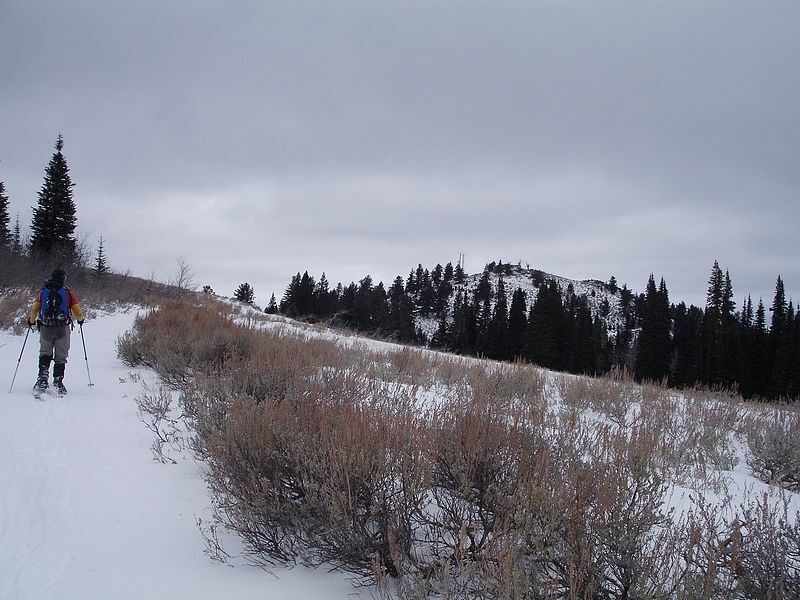 Packer John Mountain is located in central Idaho, about half-way between Banks and Smith's Ferry. 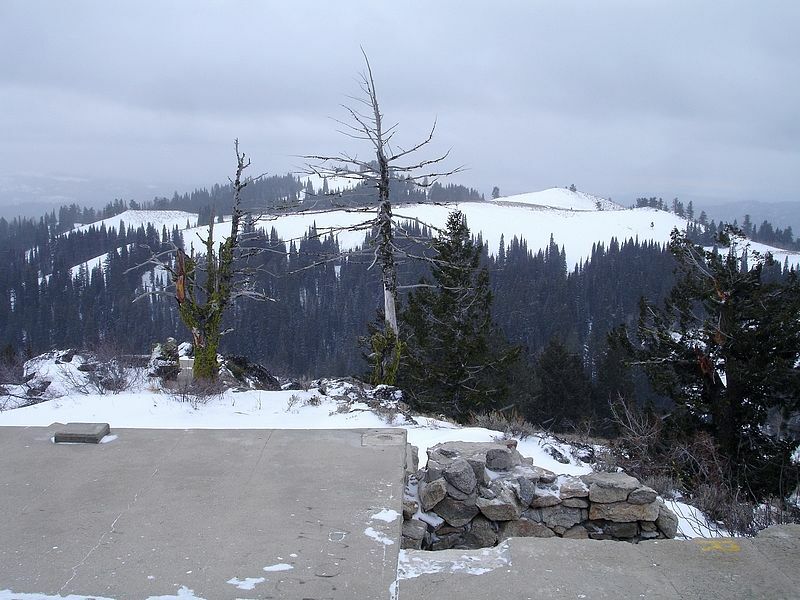 The mountain is named for "Packer John" Welch and was home to a fire lookout beginning in 1914. John and I were looking for a hike that was fairly short and close to Boise and I happened across this one while scanning through Topo maps. There are jeep trails leading to the summit from both the north and south, but we chose the bushwhacking route up the west side of the mountain. The hike started at around 7:30 from the footbridge that crosses the Payette River just south of Big Eddy campground. The first 1200' of gain was very steep, but the underbrush was pretty minimal thanks to the Ponderosa's standing overhead. We used game trails at times, and then crossed few logging roads at about 5200' where we saw some wolf tracks that were less than a couple days old. Soon it was back to cross-country travel. After leaving the roads, the brush became very thick. 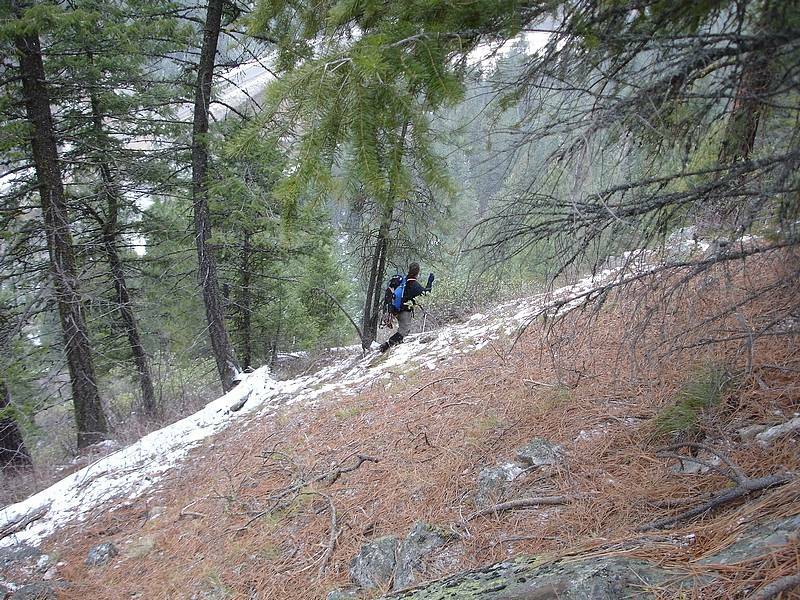 We tried several routes, but all of them ended in a tangled mess of Buck Brush, Alders, and young Aspens. After fighting through the brush for what seemed like forever, we finally reached the summit ridge. 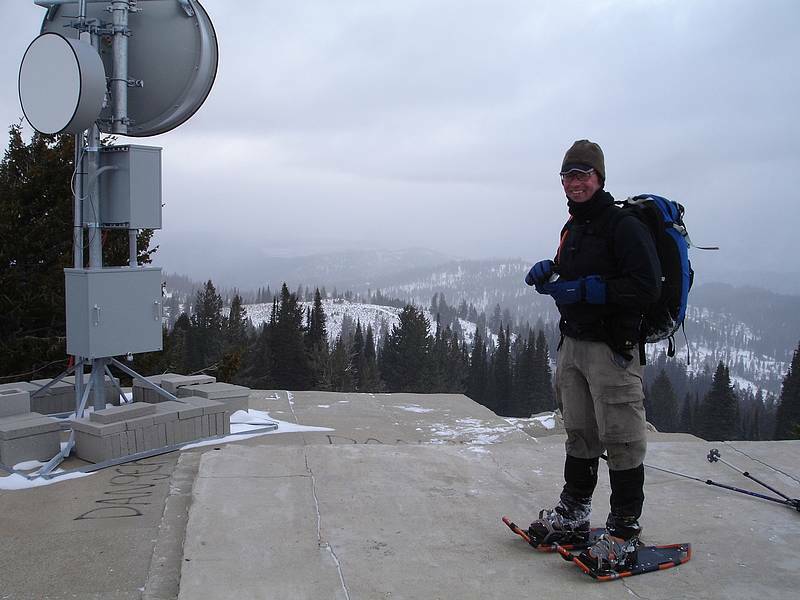 Here we strapped on the snowshoes and followed a snow-covered jeep trail for a while on our way to the summit, Once on top, we checked out the old foundation from the fire lookout and then headed for some cover to get out of the wind. John spotted some terrain to the north that was a little more open than the way we'd come up, so we took that route back down. It was still brushy, but nothing like the jungle we'd climbed up. New terrain for both of us, good conversation, and lightly falling snow made for a very nice day in the mountains. I think we were on the trail for around 5 hours and covered about 7 miles and 3000 feet of elevation gain. Not a bad way to burn off some Thanksgiving calories. Map of our brushy route. 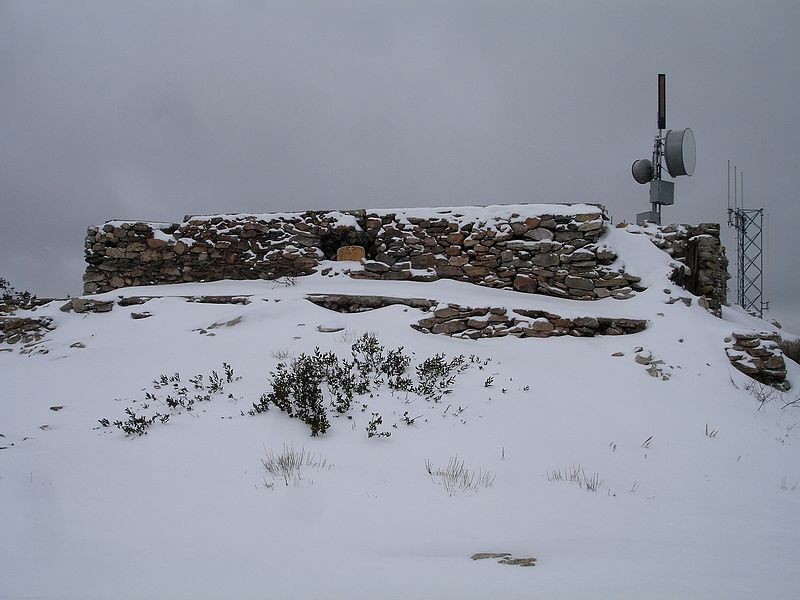 This foundation is all that remains of the fire lookout that was built back in 1914. Here's John standing on the old foundation on the summit. Descending the steep but open section back down to the river. 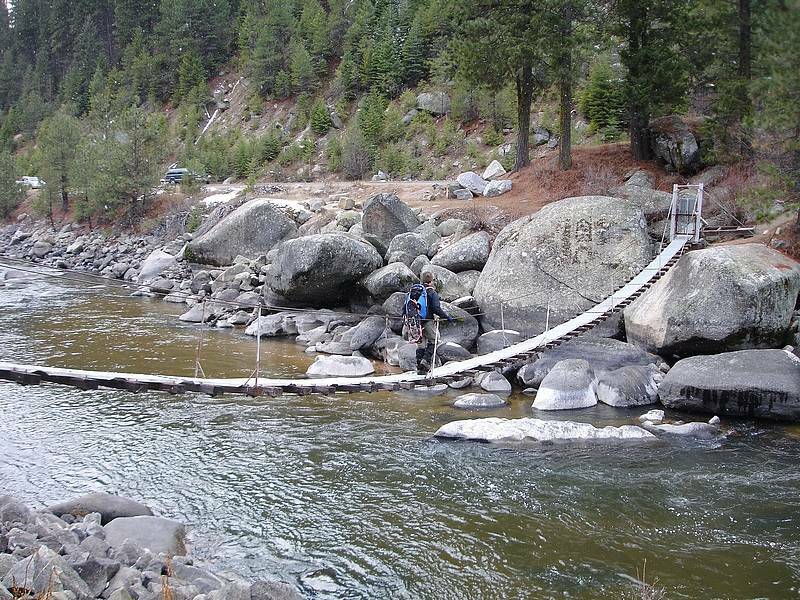 John crossing the footbridge over the Payette River.